A rather showy Camellia in bloom in our garden. It is that time of the week again and I do hope you are not a victim of the dreaded “Sunday Trading” and can spend Sunday as you wish. 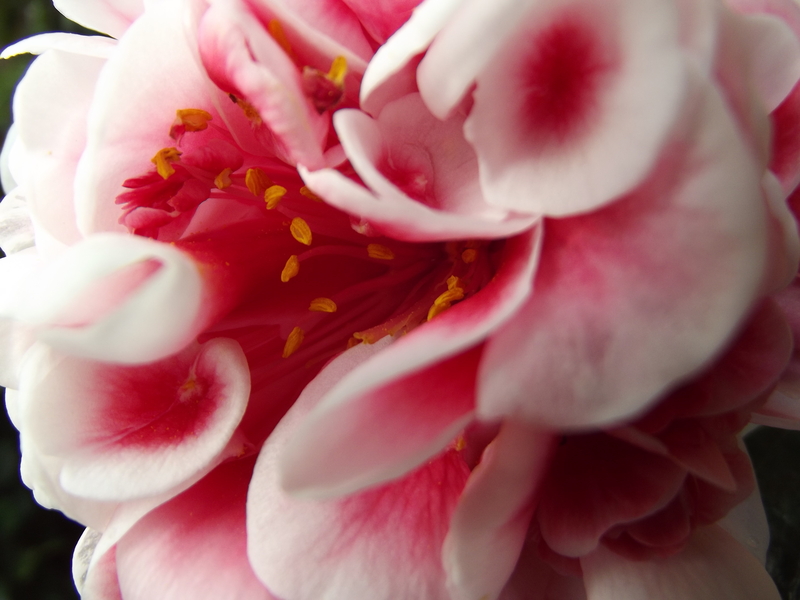 Here a few photos I took in the garden of a rather showy camellia. I was rather taken with the strange mottled pattern on the leaves. 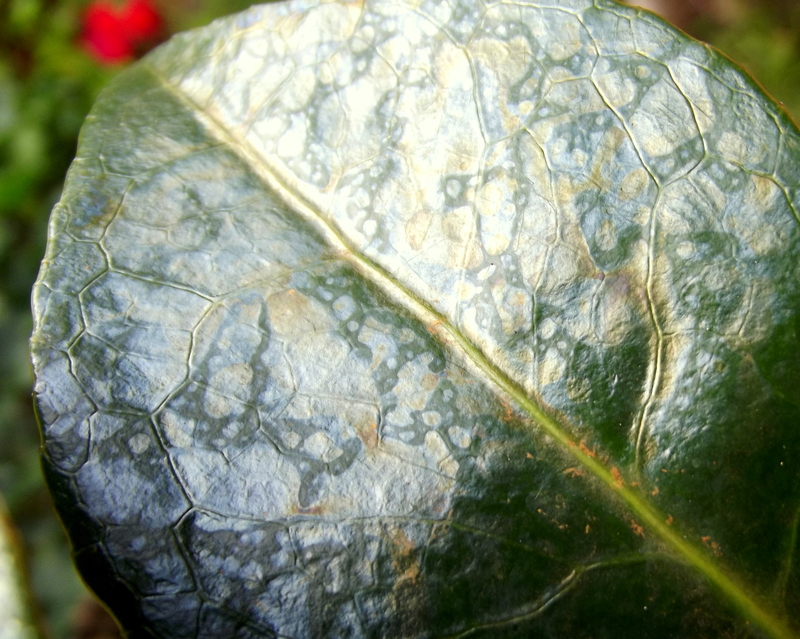 The mottled leaves on this camellia are quite peculiar. I’ll probably find they are evidence of some sort of blight if I know my luck with gardening. If you should like to see some truly beautiful floral photography then Susan Rushton’s exquisite blog is for you. By clicking the link here you will be able to start your Sunday in a wonderful bouquet of flowers that are quite breathtaking. Susan Rushton’s information page claims that she has “A childish love of flowers” but she has also an artist’s eye for floral photography and a scholar’s knowledge of the flowers she shares on her posts. With regular posts of wonderful blooms and garden views from her own marvelous garden to delightful wanders through English parks and gardens, there is always something lovely to see. If you have no garden of your own, are looking for inspiration for your own garden or simply love beautiful flowers then do visit Susan Rushton where every blog post is an “ahhh” moment. Next Aux armes, citoyens! Rise up! Hello TJ! Beautiful captures. The colors and textures are magnificent. I must have a ‘childish love of flowers’ too because I can’t get enough of them. I’ll be checking out Susan Rushton’s blog soon. 😉 Thanks for sharing! Thank you for your encouraging words – I’ll try to live up to them. From one of my favourite bloggers – such a great storyteller in pictures and in words – they mean a lot. You too! As you’re one of my photographic muses that made me smile. If we could only see ourselves as others see us! The mottled leaf you have photographed are just fairly stunning. Isn’t that amazing?! Thanks! I was really surprised at the colours and patterning when I looked at it closely. It is amazing how much more detail you suddenly discover when since taking up photography.